Hanna graduated from Princeton High School in 1986 and went on to attend the University of Cincinnati. She earned a Bachelor of Arts in 1999 and a Bachelor of Science in 2000. Following her passion for law, she graduated from the Salmon P. Chase College of Law in 2002 with a Juris Doctorate and was commissioned by the Ohio Supreme Court on May 9, 2003. Hanna was a sole practitioner from 2003 until she joined The Lampe Law Office in 2017. Her areas of practice included family law, criminal defense, personal injury and bankruptcy. Family law was her primary focus. It is the area of law that she found herself most passionate about. During her time as a sole practitioner, Hanna served in the role of Executive Director and Contract Attorney for the Butler County Bar Association. In this capacity she developed invaluable relationships with many colleagues throughout Butler County. Of all Hanna's accomplishments, she is most proud of being a mom. She has two handsome teenaged sons, Laurance and Mathew, and a beautiful daughter Claudia, who will soon be a teenager. 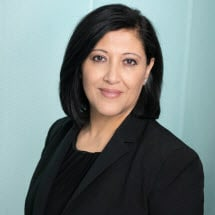 Hanna is strongly rooted in her family and has dedicated her professional career to supporting families as they address issues that arise through family law matters.